To deal with increasing amounts of data and its complexity domain scientists need to get access to sophisticated methods for data analysis while still be able to focus on their research interests. ScaDS Dresden/Leipzig as one of two national competence centers for big data research in Germany follows an interdisciplinary approach to address big data challenges in various scientific domains. To foster necessary developments and to close the bridge between domain knowledge and computer science methods a service center coordinates the knowledge transfer and supports domain scientists on a technological and methodical level to transform and improve data analysis pipelines. The talk will present the interdisciplinary approach of the competence center, highlighting some recent achievements and will discuss the surroundings to enable the necessary knowledge transfer to solve big data challenges. 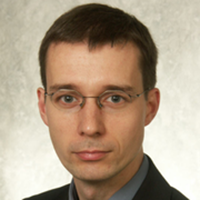 Dr. René Jäkel is management director of the German big data competence center ScaDS Dresden/Leipzig, which focuses on the development of services for big data analysis. His research background is in the areas of distributed and data-intensive computing as well as high performance computing and he is working at the local data center of the Technische Universität Dresden, the Center for Information Services and High Performance Computing (ZIH).